In my current book project, For the Love of War, I attempt to bring together my interests in political philosophy and international relations with a particular focus on how we view war and military service. I aim to trace the modern life of what I call “civic militarism” – the view that war and military service generate virtues and other cultural benefits for those that undertake these efforts. While historians and literary critics devote considerable attention to the ways that militarism and nationalism played a part in the wars of the last century, political theorists have done little to examine the philosophical assumptions underlying these movements. Using a mix of traditional sources of political theory from the eighteenth through the twentieth century and memoirs and reflections on military service dating primarily from the World Wars, I hope to explore the place of civic militarism in modern times. I focus in particular on three varieties of this phenomenon: the desire to use military preparations and war itself as a basis for national unity, their use as a basis the revitalization of manly virtues and the revival of culture, and the idea that war can serve as a basis for escaping liberalism. By using representative figures in early modern and modern political thought alongside contemporary political practitioners, I intend to show that each of these three motives played a seldom-articulated part in the catastrophes of the twentieth century and that civic militarism still poses dangers today. 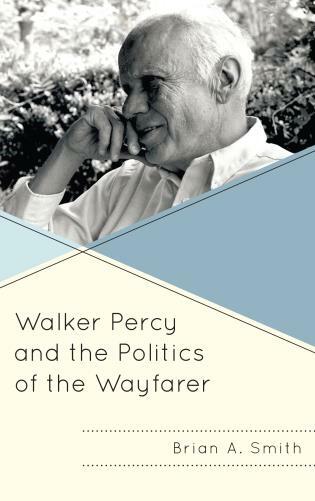 Walker Percy and the Politics of the Wayfarer (Lexington Books, 2017) explores the writings of Walker Percy (1916-1990), making the case that his many essays and seven books represent a distinctive contribution to political philosophy. Percy demonstrates the ways our temptation to seek complete solutions to life’s persistent dilemmas wreak havoc on human life. His focus on man as wayfarer captures the restlessness of the human heart and allows us to comprehend our desire to escape our sense of alienation and unfulfilled longing. Taken as a whole, his writings provide a coherent account of how modern Americans so often go wrong in describing their own condition. My book is the first single-authored account devoted solely to Percy’s political thought, and is currently under contract for publication. In 1962, Percy made a dramatic entrance onto the American literary scene when he won the National Book Award for fiction with his first novel, The Moviegoer. A physician, philosopher, and devout Catholic, Percy dedicated his life to understanding the mixed and somewhat contradictory foundations of American life as a situation faced by the wandering and wondering human soul. His controversial works combined existential questioning, scientific investigation, the insight of the southern stoic, and authentic religious faith to produce a singular view of humanity’s place in the cosmos that ranks among the best American political thinking. 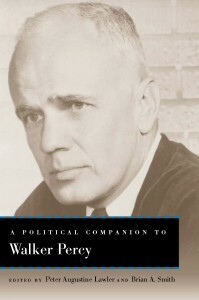 An authoritative guide to the political thought of this celebrated yet complex American author, A Political Companion to Walker Percy includes essays by Ralph C. Wood, Richard Reinsch II, and James V. Schall, S.J., as well as new analyses of Percy’s view of Thomistic realism and his reaction to the American pursuit of happiness. Editors Peter Augustine Lawler and Brian A. Smith have assembled scholars of diverse perspectives who provide a necessary lens for interpreting Percy’s works. This comprehensive introduction to Percy’s “American Thomism” is an indispensable resource for students of American literature, culture, and politics. “Burke and Clausewitz on the Limitation of War” (with J. Furman Daniel), Journal of International Political Theory, Vol. 11, No. 3 (October 2015), pp. 313-330. “Walker Percy’s Last Men: Love in the Ruins as a Fable of American Decline” in A Political Companion to Walker Percy, ed. Peter Augustine Lawler and Brian A. Smith (University Press of Kentucky, 2013), pp. 179-206. “Edmund Burke and the Limitations of Historical Thought.” Anamnesis, Vol. 1, No. 2, (Summer 2012), pp. 5-27. “Losing Sight of Man: Percy and Tocqueville on the Fate of the Human Sciences.” Perspectives on Political Science, Vol. 40, No. 3 (July-September 2011), pp. 140-146. “Smith and Tocqueville on the Commercial Ethos.” Journal of Markets and Morality, Vol. 13, No. 1 (Spring 2010), pp. 29-44. “Statesmanship and the Problem of Theoretical Generalization” (with J. Furman Daniel). Polity, Vol. 42, No. 2 (April 2010), pp. 156-184. “Roger Scruton and the Conservation of Culture.” Society, Vol. 45, No. 6 (December 2008), pp. 557-561. “Adam Smith and the Culture of Enterprise.” Perspectives on Political Science, Vol. 37, No. 4 (Fall 2008), pp. 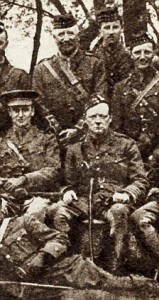 200-205. “Edmund Burke, the Warren Hastings Trial, and the Moral Dimension of Corruption.” Polity, Vol. 40, No. 1 (January 2008), pp. 70-94. “Democracy in America and the Possibilities for Law without the State.” The Journal of Libertarian Studies, Vol. 21, No. 2 (Summer 2007), pp. 21-44. “The Rift in the Modern Mind: Tocqueville and Percy on the Rise of the Cartesian Self” (with Matthew Sitman). Perspectives on Political Science, Vol. 36, No. 1 (Winter 2007), pp. 15-22, republished in Democracy Reconsidered, ed. Elizabeth Kaufer Busch and Peter Augustine Lawler (Lexington Books, 2009), pp. 101-117.